Technological giant Apple has been known for their innovative products that change the industry and the way the world views technology. They changed the phone, the music player, the TV, the computer and more, in ways mankind can not reverse. 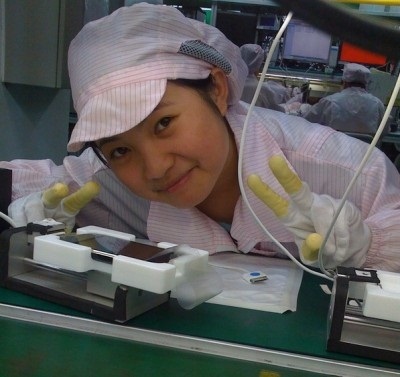 With their cool, hip public image, there’s another side to Apple; its suppliers. Singapore newspaper The Straight Times reports that Apple, for the first time, admitted that producing their products has had a negative effect on the health of their workers. The California-based maker of iPods, iPhones and iPads acknowledged for the first time in the Apple Supplier Responsibility 2011 Progress Report on Tuesday that 137 workers at the Suzhou facility of Wintek, one of Apple’s touch screen suppliers, had suffered adverse health effects following exposure to n-hexane, a chemical in cleaning agents used in some manufacturing processes. The Straight Times had also reported that Apple has shut down the assembly line until proper ventilation can be installed and that workers are demanding an apology from Apple, even though they only contracted the factory. All 137 affected employees have since returned to work and no fatalities have been reported. Previous Entry: White iPhone 4 Release Imminent?